Paul Quarrington came to Vancouver Island to make music, to read from his works, and, as often as he could, to fish. For an excursion on the Cowichan River, he dressed in the layers of the winter fisherman, stuffing himself into neoprene chest waders as sleek as the steelhead whose acquaintance he tried to make. The Cowichan’s flow in March explains its reputation for treachery, as it is both swifter and deeper than appearance. The river surprised Mr. Quarrington, who was more accustomed to what he called the “staid civility” of angling in his native Ontario. Mr. Quarrington died of lung cancer at his Toronto home on Thursday, a passing that has provoked many heartfelt tributes. 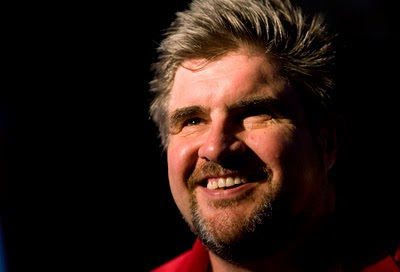 His bereaved friends have written about him “singing with angels,” or watching hockey “on high with Teeder Kennedy.” On Saturday, “Hockey Night in Canada” honoured the author of the humourous hockey novel “King Leary” with a three-minute montage of great plays interspersed with quotations from his writing. 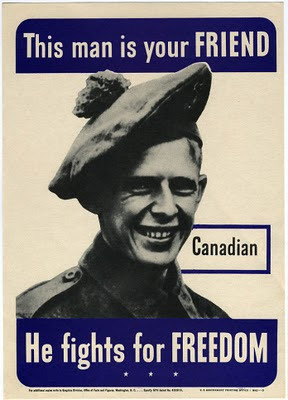 For the most part unstated has been his connection to British Columbia. While his home and his roots were centred in Toronto, his book publisher is based in Vancouver and his record label is based in Victoria. In May, Greystone Books will release Mr. Quarrington’s “Cigar Box Banjo,” a memoir completed in the months after his diagnosis and shortly before his death. How often did he get to Vancouver Island? “Whenever he could,” said Michael Burke, 58, the impresario of Cordova Bay Records. Many years later, in 1998, Mr. Burke helped organize a Paul Quarrington Festival in Victoria. The Roxy CineGog showed “Whale Music,” the terrific dramatic comedy based on his novel, while the Ocean radio station aired “Baby and the Blues.” Kaleidoscope Theatre performed Mr. Quarrington’s “The Invention of Poetry,” while the author himself gave several readings. 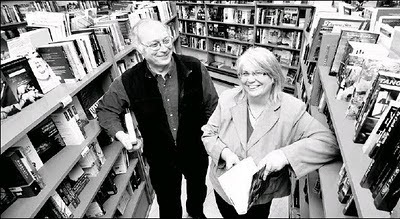 His earlier visits to the city earned him rave notices in the Times Colonist newspaper, though he was as likely to appear in the fishing column as on the arts page. Mr. Burke, 58, recently helped organize the Quarrington Arts Society, a charitable foundation that will award prizes to artists showing achievement in more than once discipline. The founders have come up with an unlikely trophy in homage to the society’s namesake. It includes a three-dimensional musical note and a quotation mark attached to a base resembling a film canister. Mr. Burke’s label handles the Porkbelly Futures, a country blues outfit whose witty lyrics reflected Mr. Quarrington’s comic take on life. In what would be Mr. Quarrington’s final performance on Vancouver Island, the band played The Queen’s Pub in Nanaimo in November, 2008. After the show, the old friends got together to tell tall stories and swap lies for hours on end. The singer-songwriter Wyckham Porteous, who is also in the Cordova Bay Records stable, was so moved by Mr. Quarrington’s dignified handling of his death sentence that he wrote a song about him. He got to play it for his subject, gently crying while singing. The song has yet to be recorded for release. CHURCHILL CALLS: A small, shivering crowd of 75 gathered at the Mayors Grove in Beacon Hill Park yesterday afternoon, among them former NDP premier Dan Miller and former Social Credit attorney-general Brian Smith. 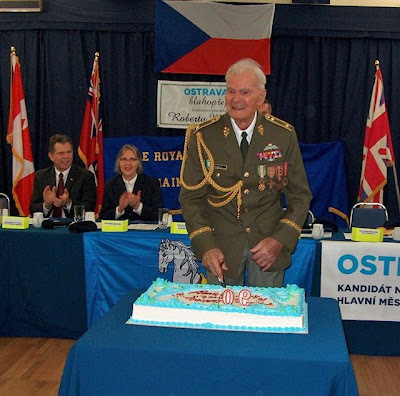 Supported by the local Churchill society, the annual event toasts the memory of the man who rallied his people against Nazi aggression. Les Leyne, a newspaper columnist, played host to the gathering, held, coincidentally, on his birthday, while the author Chris Gainor once again reprised his role as the British Bulldog in felt hat, trenchcoat, and an eponymous stogie. The celebration takes place in front of a hawthorn tree planted during Sir Winston’s visit to the city on Sept. 6, 1929. The tradition at the event is to make a toast with an inexpensive German sparkling wine, which, thanks to Churchill’s defiance, is a libation of choice and not coercion. Rick Amann displays Albertville Olympics banner he presented tothe elementary schol in his hometown of Austin, Man. Photograph by Daniel Pi, Black News. The thermometer was at that precise point where the distinction between Fahrenheit and Celsius becomes meaningless. Then there was the wind chill. Rick Amann of Vancouver had to spend some time outdoors last Friday in Brandon, Man. He grew up on a prairie farm, so he knew to prepare. He dressed and dressed and dressed some more. He donned a white toque and a white track suit. He looked like the Michelin man. On his hands were a pair of familiar red mittens in which he carried the Olympic torch. Mr. Amann, 49, is one of Canada’s least-known former Winter Olympians. He took part in the Albertville Games of 1992 and the Lillehammer Games two years later. Back then, his hands were covered by hockey gloves. He played defence for Germany, an underrated but hard-working squad that came within a goal of delivering an upset against his Canadian homeland. The happy circumstance of his ancestry gave him an opportunity not available to many athletes in this hockey-mad land. He was raised in Austin, Man., population 450, a farming village just south of the Trans-Canada Highway west of Winnipeg. (His passport gives his birthplace as MacGregor, which is just down the road and the site of the local hospital.) His father was a heavy-machinery mechanic, his mother the local postmaster. He played his first hockey outdoors on natural ice, volunteering as an ice cleaner, improving his skating as he pushed a shovel around the ice. Young Rick got a few extra precious minutes on the ice with his stick and puck. He left home at a young age to play junior hockey in Abbotsford and New Westminster. At 6-foot-1, 190-pounds, he was a mobile defenceman with good hands, though those were not always employed in the business of putting the puck in the net. Coach Ernie (Punch) McLean was more likely to be upset by a clean sheet than by a rap sheet. In his final season with the Bruins, he scored 22 goals in 55 games, an impressive total for a defenceman, especially considering he spent the equivalent of more than three complete games in the penalty box. A teammate’s tip led to a long career in Germany, where he played professionally for EHC Freiburg and Duesseldorfer EG, the latter a dynasty that recorded four German titles during Mr. Amann’s stint on the blueline. Teased by a teammate that he did not even know the German national anthem, Mr. Amman had the lyrics printed out. He carried the sheet in his wallet for a dozen years, time during which he also made a point of learning the language and integrating as much as possible. His Olympic career includes two assists in 16 games. The highlight was a quarterfinal match against Canada on Feb. 18, 1992. The Germans proved to be no patsies, holding the favoured Canadians to a 3-3 draw during regulation. As the game went into overtime, German television delayed a popular news broadcast. Some friends told him they pulled over to the side of the Autobahn to listen to the end of the game on the radio. Canada ended up winning the shootout 3-2 to advance, eventually winning a silver medal. 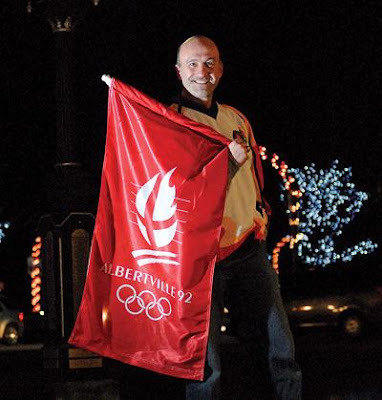 With the Winter Olympics returning to Canada, Mr. Amann applied to be a torchbearer as close to his hometown as possible. He carried the torch for 300 metres along 18th Street in Brandon, where he was met at the passing point by his parents, his sister, a nephew and his family, as well as lots of cousins. The day before, he made a pilgrimage to Austin, home of the Manitoba Agricultural Museum, which boasts Canada’s largest collection of vintage farm machinery. 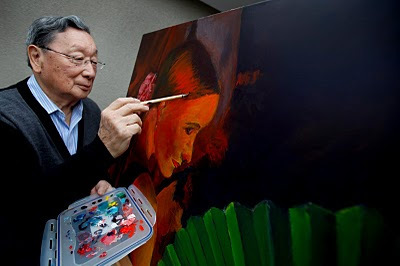 At an assembly at his old elementary school, he teared up as he told the pupils of the advantages he gained by having grown up in a rural community where neighbours help one another. A financial partner at CN Rail, he will be busy during the upcoming Olympics as co-host of the German hockey team during next month’s Olympics. He is dedicated to ensuring the athletes and their family have a tremendous time in Vancouver. Because his own family felt gouged by hoteliers and others when they went to watch him in Europe, he has helped find about a dozen homes in his Edgemont neighbourhood of North Vancouver where relatives will be able to stay during the Games. Should any of the players or family visit the Amann household, they will be able to see on the wall a tattered sheet with the lyrics of the German national anthem, a reminder of an unlikely journey for a smalltown boy from rural Manitoba. 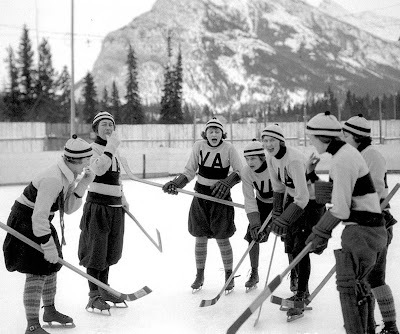 The Vancouver Amazons enjoy a light-hearted practice on the outdoor rink at Banff, Alta. Credit: Whyte Museum of the Canadian Rockies, V263-3862. Photo: Byron Harmon. Below, author Wayne Norton has researched the mostly forgotten history of early women hockey players in British Columbia. They called themselves Vamps and Kewpies and Amazons. In the early days, they wore long skirts as befitted Victorian ladies. Soon, they were donning stylish outfits of their own design, complete with navy collars and short skirts with trim, not to mention nickel-plated ice skates. In time, they skated freely in bloomers, their team identity proudly presented in colourful wool sweaters. Long before Hayley Wickenheiser first laced a skate, decades before the inauguration of the Winter Olympics, a handful of daring women in British Columbia defied convention by taking to the ice to play hockey. They endured the teasing and taunting of male spectators, read sneering accounts of their matches in the daily newspapers. In time, the won a begrudging respect for the ferocity of their play. For several years, women’s teams competed in a tournament during an annual winter carnival at Banff, Alta. The winner took home the Alpine Cup as the champion women’s hockey team of Western Canada. Wayne Norton, a Victoria author, has written “Women on Ice” after stumbling across the fascinating and little-known story of women hockey players. A coal miner’s son and a teacher by training, he was researching the history of Fernie when he came across a striking photo of a women’s team. Not much of a sports fan, he was intrigued by the notion of pioneering athletes, as well as by the unlikely symbol worn on the front of their sweaters. He embarked on a long research project to uncover the forgotten tale. He spent untold hours pouring over microfilm of old newspapers, piecing together fragmentary accounts. In 1897, a women’s team formed in Sandon, a mining boom town in the Kootenays known as the Monte Carlo of North America and the Silver City in the Clouds. This was followed by reports of rival teams in Moyie, Kaslo, Nelson, Slocan, Phoenix, Silverton, New Denver and Grand Forks. By 1901, Rossland boasted two teams in the Stars and the Crescents. “I imagine the style of play was quite gentle,” Mr. Norton said. “Tentative, I suppose. The arrival in Nelson of Joseph Patrick from Montreal would be the most important development in the history of hockey in the province. While the elder Patrick opened a lumber company, his sons came west to play hockey for the city team. Frank and Lester Patrick would both enjoy long careers, earning induction in the Hockey Hall of Fame. Mr. Norton reports their three sisters also played hockey in Nelson, their exploits much less known than those of their famous brothers. The Patrick brothers eventually moved to the coast, opening grand arenas with artificial ice in Vancouver and Victoria. They signed top-notch male players for their new professional Pacific Coast Hockey Association. Soon, amateur women played games between periods of men’s games. Their coach, Pete Muldoon, gave a demonstration of skating on stilts. The women’s game held some promise as a box-office attraction, as they began to play a grittier style. A group of young, unmarried women who had attended high school in the West End formed the Vancouver Amazons. They counted among themselves a future teacher, a stenographer, a registered nurse, a bank clerk, and two office workers. Norah and Phebe Senkler were sisters from a prominent family, as their father was a respected barrister and their mother the daughter of a former lieutenant-governor. In Victoria, the women called themselves the Kewpies. In Seattle, they were the Vamps, though a newspaper in a rival city preferred to describe them as the Sweeties. Sometimes, the game’s star received a box of Purdy’s chocolates. The team’s main attraction was Kathleen Carson, said to possess a shot as hard as a man’s. She eventually married team manager Guy Patrick, another of the brothers. The Amazons travelled to the Banff tournament for the first time in 1921, with Frank Patrick’s wife, Catherine, as chaperone. 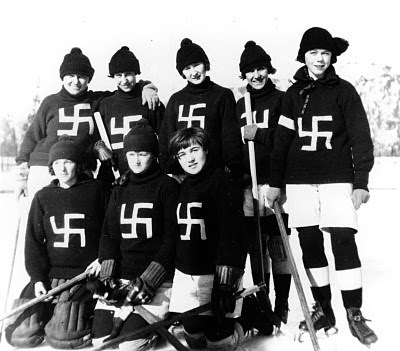 The Calgary Regents won that year, the Amazons triumphed the next, while the Fernie Swastikas claimed the title in 1923. The Swastikas wore red sweaters with a large crooked cross on the chest, having adopted as their club name the ancient symbol of good fortune, which was popularly used in the pre-Nazi era in the same fashion as the shamrock. More than 1,000 spectators attended home games in the Rocky Mountain community. A stalwart on defence for the Swastikas was the mayor’s daughter. Miss Dorothy Henderson, as she was inevitably described, died unexpectedly after a brief illness a year after her team’s triumph at Banff. Women’s hockey petered out during the Depression and disappeared during the war, not to be revived for decades. The hockey history, published by Ronsdale Press, is Mr. Norton’s eighth book. By coincidence, he did his teaching practicum at King George High in Vancouver’s West End, the very school he would later discover had been attended by the young woman who formed the Amazons. The Fernie Swastikas (c. 1922) wore red sweaters with a crooked cross in white, a symbol of good luck until perverted by the Nazis. Credit: Fernie and District Historical Society, no. 972. There's one final, unsolved mystery in Wayne Norton's pursuit of women's hockey lore. The Alpine Club of Canada donated a silver trophy to the sport - tall and narrow, like a champagne flute, with matching handles at the top. Women did ferocious battle for the prize. Today, the Alpine Cup is lost. "I would love to find it," Mr. Norton says. He believes the trophy likely wound up with a player in either Calgary or Red Deer. Here's hoping some Alberta household is puzzled by the provenance of a practical household item - perhaps in use as a vase - that has behind it a rich story. Michael Asch, a semi-retired anthropology professor, promotes his father's legacy with a radio program based on more than 2,000 Folkways records. Photograph by Deddeda Stemler. Michael Asch is the grandson of the late Sholem Asch, a distinguished novelist and playwright who for a time was the best known Yiddish writer on the planet. 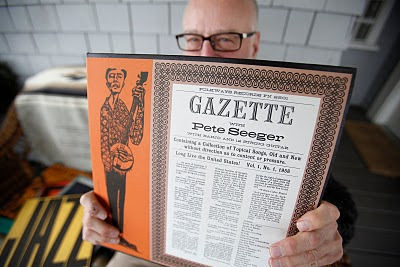 He is the son of the late Moses Asch, the founder of Folkways Records, who recorded Leadbelly, Woody Guthrie, and Sonny Terry and Brownie McGhee. At 66, Mr. Asch betrays a hint of his Greenwich Village upbringing in his speech even decades after leaving Manhattan. He is an accomplished anthropologist who will be teaching a class on indigenous rights at the University of Victoria this session. With stylish eyeglasses and a neat trim of white beard, the amiable Mr. Asch looks much the semi-retired academic. His own extensive credits include a decade with the Dene, a time during which he once interviewed Julian Yendo, a last living negotiator of Treaty 11. Mr. Asch is writing a book about treaty relations between Canada and First Nations, a work that will examine mindsets and assumptions. He has written several other books, also compiling the recordings and writing liner notes to “An Anthology of North American Indian and Eskimo Music.” The album was released in 1973 on his father’s legendary label. Folkways never had a hit record, never paid much in royalties, never made a mogul of the founder. It was Moe Asch’s promise in life and wish before death that all he recorded remain in print in perpetuity. He told his artists he would always make their music available to an audience, no matter how small. Shortly after Moe’s death in 1986, Michael Asch completed negotiations with the Smithsonian, which purchased the Folkways catalogue, earning the family a modest grubstake while fulfilling a father’s obligation. To this day, you can buy any and every recording Moe Asch ever released. As well, the Smithsonian Folkways label continues to issue several new works every year. “The catalogue is so broad,” Michael Asch, a little smile on his face an acknowledgement of his understatement. On average, Moe Asch released a record each week since founding the label in 1948. He named his long-suffering secretary the principal, a dodge designed to confuse bill collectors, not to mention Red-baiting politicians eager to confuse Mr. Asch’s hatred of racism for a love of communism. He left 2,168 albums — recordings by Pete Seeger, Big Bill Broonzy, and Champion Jack Dupree; by Memphis Slim and Mississippi John Hurt; works of folk, blues, jazz, gospel, and ragtime; collections of children’s songs and anthologies of picket-line anthems for striking workers; readings by the poet Langston Hughes and by the acid evangelist Timothy Leary. Michael Asch does what he can to keep Moe’s legacy in the public mind. 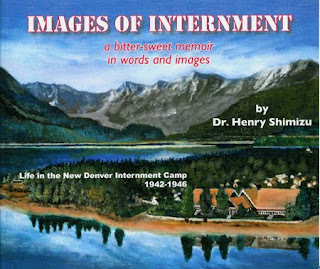 He chairs a Smithsonian advisory board dedicated to continuing his father’s ideals. Last year, he hosted 26 radio programs based on his father’s work. In the coming weeks, he will prepare another 13 episodes for the CKUA radio network in Edmonton. It reflects his father’s liberal taste and extensive catalogue that a son can dedicate an entire show to Folkways songs about the days of the week (“Stormy Monday,” “Mardis Gras Song,” “Wednesday Night Waltz,” “The Ballad of Bloody Thursday”), and another to works about Nicola Sacco and Bartolomeo Vanzetti, Italian-born labourers and anarchists whose legal defence was a cause celebre before their execution in 1927. Moe Asch was a driven and difficult man inevitably described as crusty even by favourable biographers. His only son attended the Little Red School House in Greenwich Village, where his classmates included Robert De Niro, the future actor, and Angela Davis, the future academic and revolutionary Communist. As a teenager, Michael befriended a girl named Jane, whose father was a playwright. When invited to her home, his evening meal was prepared by Arthur Miller’s second wife, the actress Marilyn Monroe. His music teachers were Charity Bailey, who launched a weekly television program in New York in 1954, and the quirky Earl Robinson, who had written film scores in Hollywood before being blacklisted during the McCarthy era. (Mr. Robinson composed music for the song “Joe Hill,” the martyred labour leader. He also co-wrote “Black and White,” a hit for Three Dog Night, likely the only song about the 1954 U.S. Supreme Court desegregation ruling, Brown vs. the Board of Education, to have hit the Billboard Hot 100.) 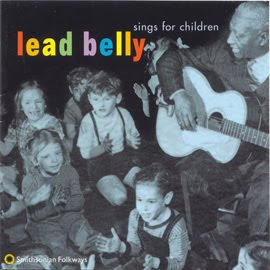 Both teachers recorded with Folkways. Mr. Asch first came to Canada to attend the Mariposa folk festival in 1963. He busked with a guitar on the streets of Yorkville during Toronto’s folk revival of the mid-1960s. He decided to become an anthropologist after studying under Sol Tax at the University of Chicago. “Because of my background,” he said, “I understood that people don’t assimilate.” He spent time with the Cherokee in Oklahoma before returning to New York for graduate school, a far more palatable option than being drafted to fight an unjust war in Vietnam. He taught at the University of Alberta in Edmonton before moving to Victoria 12 years ago, continuing his father’s mission, giving voice to anonymous office worker and tribal elder alike, taping the clacking of a manual typewriter (“The Sounds of the Office,” 1964), and a canoe paddle song (“Nootka Indian Music of the Pacifis North West Coast,” 1974). The album of bullfrog mating calls was reissued on its 40th anniversary. 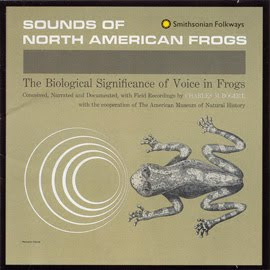 The 92 tracks include such esoterica as the “Mating Trill of the Southern Toad (Bufo Terrestris).” The field recordings were made by Charles Bogert and produced by Moe Asch. Seventeen of Michael Asch's radio programs are available to listen as a podcast. Click here and follow instructions.